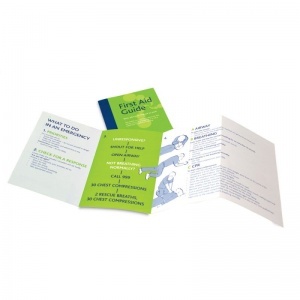 The Multilingual First Aid Guidance Leaflet is a necessary guide that covers basic advice on how to deal with a multitude of accidents and injuries in many different languages. This makes it ideal to carry in travel or overseas first aid kits in case it needs to be read by someone who is not a native English speaker, but needs to perform basic first aid. This First Aid Guidance leaflet is full of clear and useful instructions to guide someone through basic first aid practices. It covers basic techniques on how to effectively perform CPR, and how to deal with more common incidences such as bleeding, breaks, sprains, burns and eye injuries. 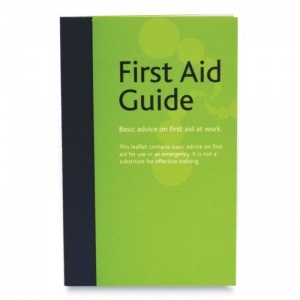 The guide is easy to understand and printed in many different languages, meaning that anyone from any background who is not trained in first aid can easily follow the guidelines set. It should be noted that this leaflet is not a substitute for regular first aid training. Keep this guide in your travel or overseas first aid kit to ensure that your safety is covered should you or anyone around you be faced with an accident. The Multilingual First Aid Guidance Leaflet is usually dispatched via First Class Royal Mail and delivery should be within 1 to 3 working days.